More pumpkin, can you handle it? I’m not going to lie, I definitely splurge on a pumpkin iced coffee here and there even though they are not very good for me. 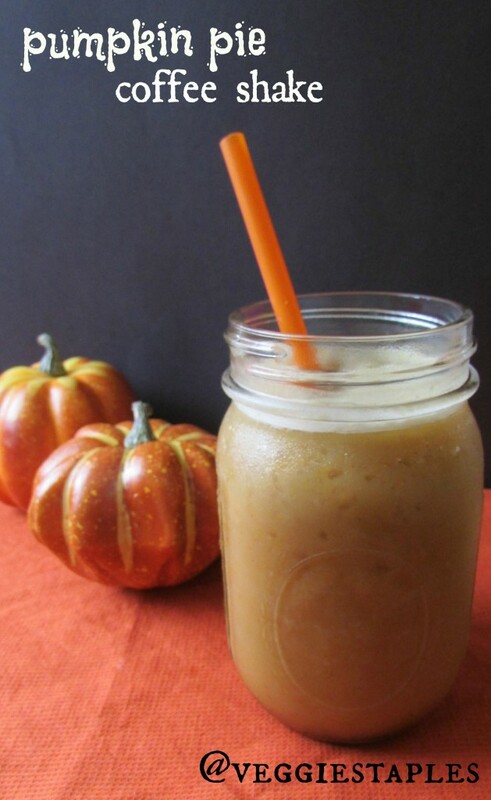 I sat down and whipped up this pumpkin pie coffee shake of my own (vegan and paleo, mind you). Nothing fancy, but a lot more ‘clean’ than Starbucks or Dunkin’ Donuts! Not to mention all the added protein and fiber from the actual pumpkin, which makes you feel a little less guilty about enjoying this! Fun to drink in the morning or an afternoon treat! (and of course, you could make it decaf too)! Buzz all ingredients in the blender and enjoy/serve immediately!